To inspire and empower girls. 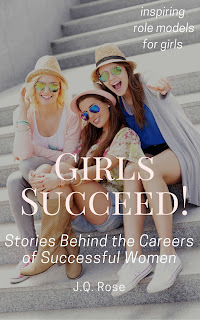 I'm excited to reveal my new book cover for my non-fiction ebook for girls, Girls Succeed! Stories Behind the Careers of Successful Women. Girls Succeed! includes interviews with amazing women who dreamed big dreams. Their passion was to be the best in sports, science, entertainment, ministry, education, and more. And their girlhood dreams actually came true. 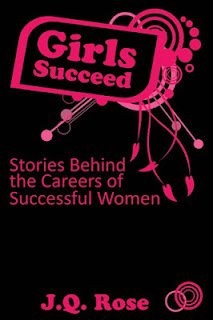 I was honored they trusted me to tell their stories in Girls Succeed! I have changed the cover for this interactive ebook several times and each time, I believe, I made an improvement to grab reader's attention. The book cover IS the first step in marketing your book. I hired a professional for one, I designed the others. Here's the parade of covers. They are arranged from newer to oldest, dates are approximate. I updated the information in this edition. There was no study guide in the first two versions because I published it as a separate ebook for 99 cents. Later I included the guide with the ebook. Click here to learn more about Girls Succeed! and to look inside. Ebook publishing gives authors and publishers a second chance, or third or fourth chance, to make changes to ebooks. A change due to typo(s), updates or a new book cover can easily be done. Just click the upload page and upload the improved file. This marvelous world of technology has turned the publishing and marketing industries upside down and inside out. Change has swept the book world and will continue. It's exciting to be a part of the revolution and new ideas. 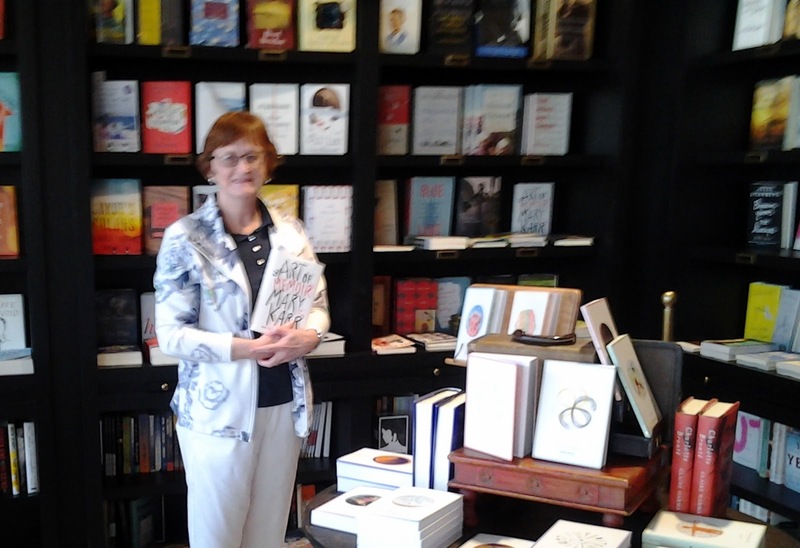 JQ Rose loves books, books, books! Reading habits have also changed. With so many choices of formats (paperback, ebook, audiobook) the opportunities are unlimited for readers to enjoy stories at home, in the car, at the dentist office (in the waiting room!!). If you love reading as much as I do, check out my publisher's fantastic offer--12 books for $10.00! And what's even better you can do it each month with the Frequent Reader Bundle from Books We Love. Click here to check out this amazing offer from BWL. Are you a frequent reader? How has your reading habit or book publishing changed? I'd appreciate hearing from you. Please leave your comments below. Thank you. Oh, and please take a minute to Subscribe by Email so you won't miss any blog posts on the J.Q. Rose blog. Lots of things happening this fall/winter and you don't want to miss out!! I love the new cover, JQ! It really communicates the energy of the book's content. Love the new cover, JQ. :) I shared. Thank you, Nan. Energy is what I need to get this book into the hands of readers. And I need reviews. If you'd like a copy I can send it to you. Thanks so much, Marsha. And thank you for the share. As an educator, I would appreciate your feedback on this book. If you're interested in skimming it and getting the gist of it, I can send you a copy. I'd appreciate a review too if you have time. Thanks.